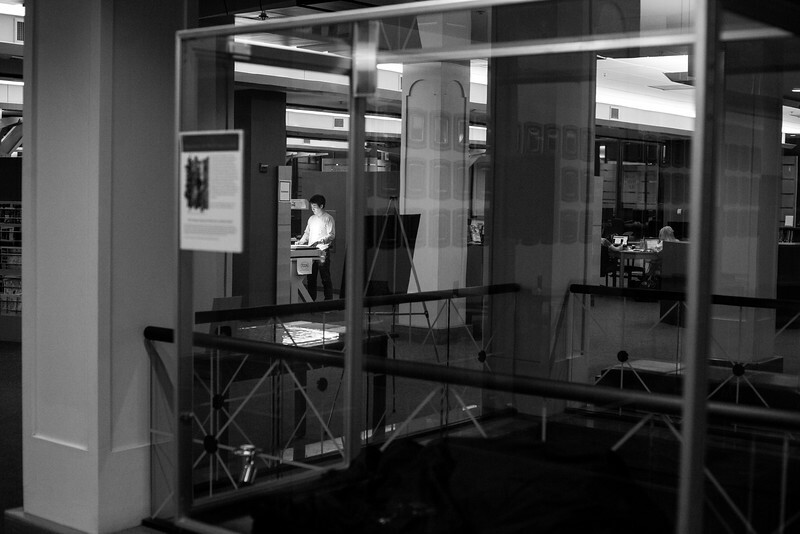 Students work in the quiet area in the second floor main hall at night. 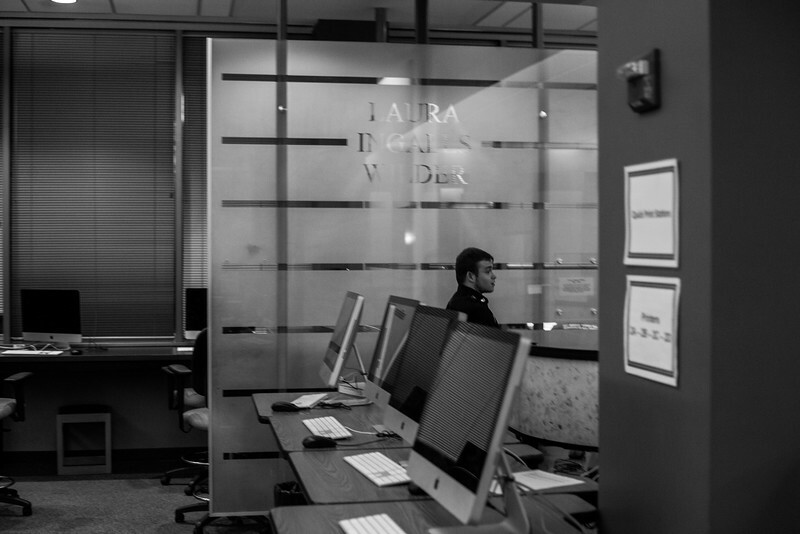 The library's new hours don’t include the upstairs past midnight. Chris Vas and Abigail Hoer study for a political science test while Jasmine Wells reads in back. 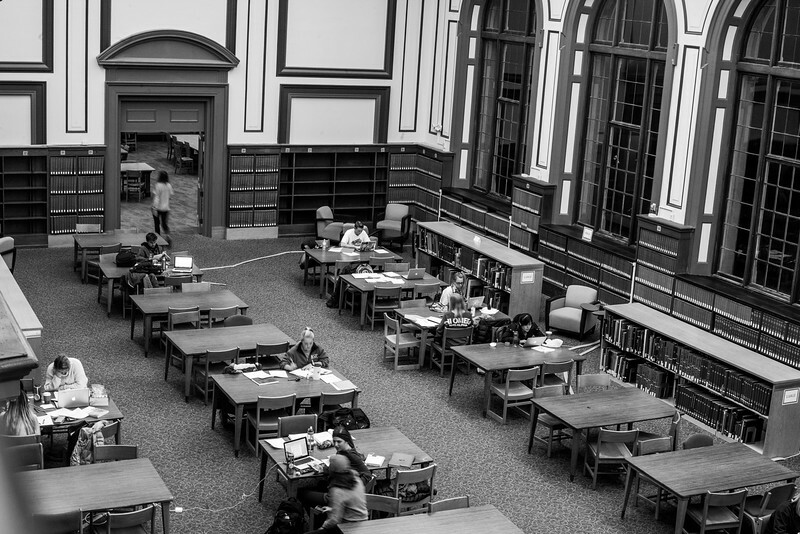 The students holed up in a third floor part of the Ellis Library stacks to study in quiet. 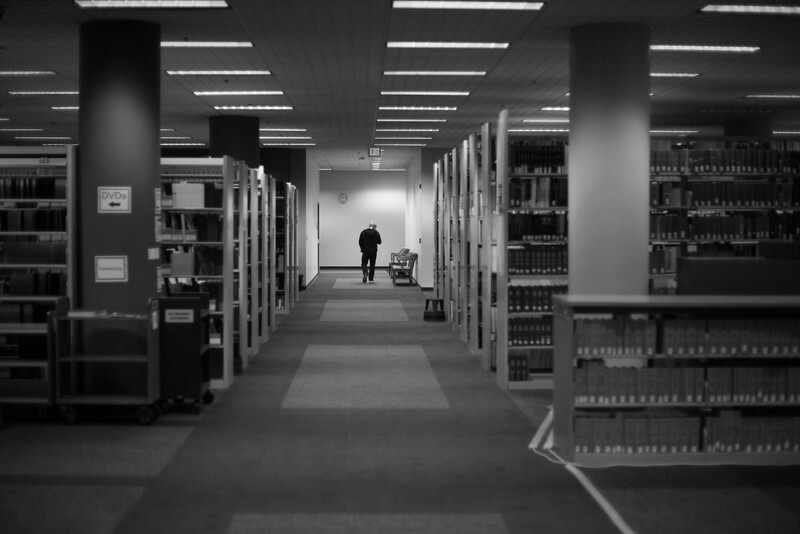 A student walks to the bathrooms in the first floor, late at night in Ellis Library. Trash over flows from a trashcan in the first floor quiet study room. 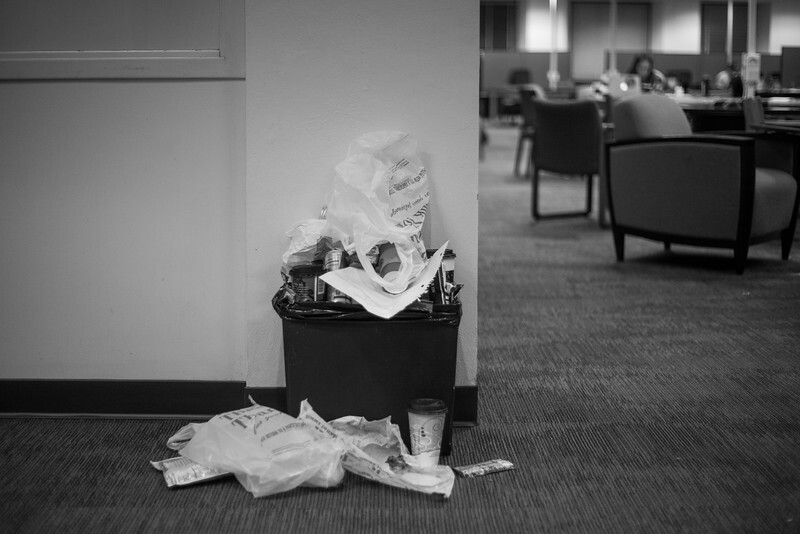 Late at night coffee cups, energy drinks and snack wrappers litter the tables and floors of Ellis Library as students forget to throw them away. Long Le, a doctoral student from Hanoi, Vietnam, scans essays on Edgar Allan Poe for his dissertation. Le had to return to work at the National University in Hanoi before he would finish. Antonio Barrington, a night security guard in Ellis Library, makes a round of the first floor to collect a survey he passed out to late night students earlier. 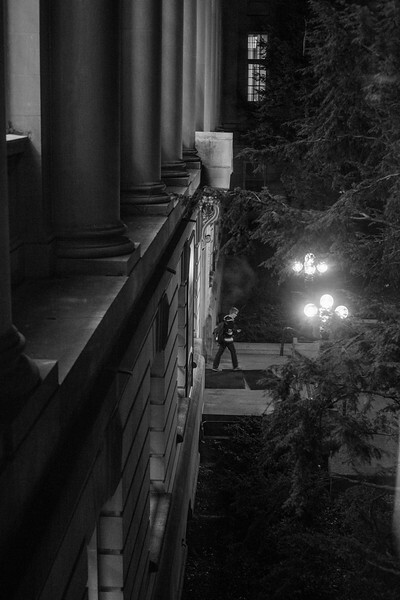 A student leaves Ellis Library to go home in the early hours of the morning. 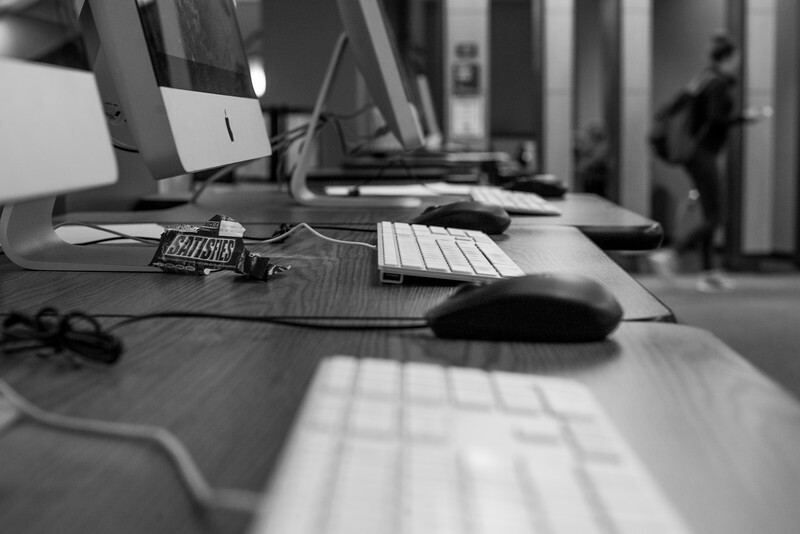 Detritus still lingers on the desks as tired students forget to dispose of their trash. 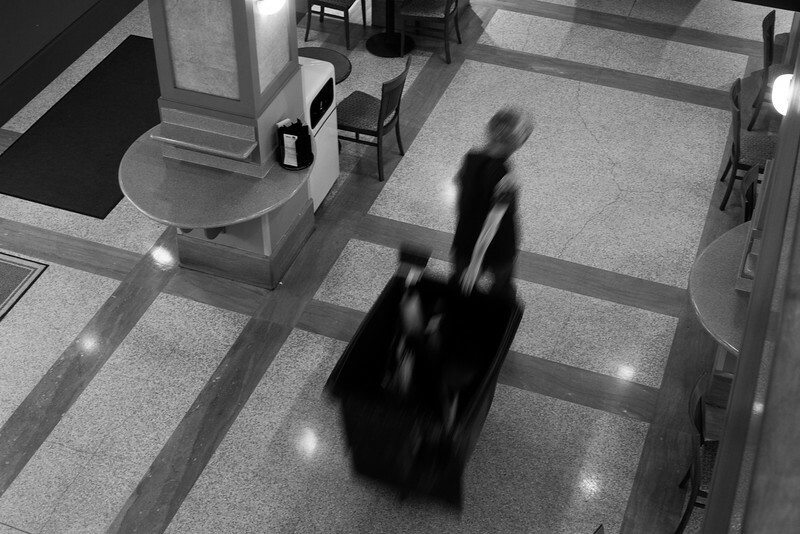 A member of the cleaning crew passes through the empty bookmark cafe in Ellis Library’s ground floor, late at night. 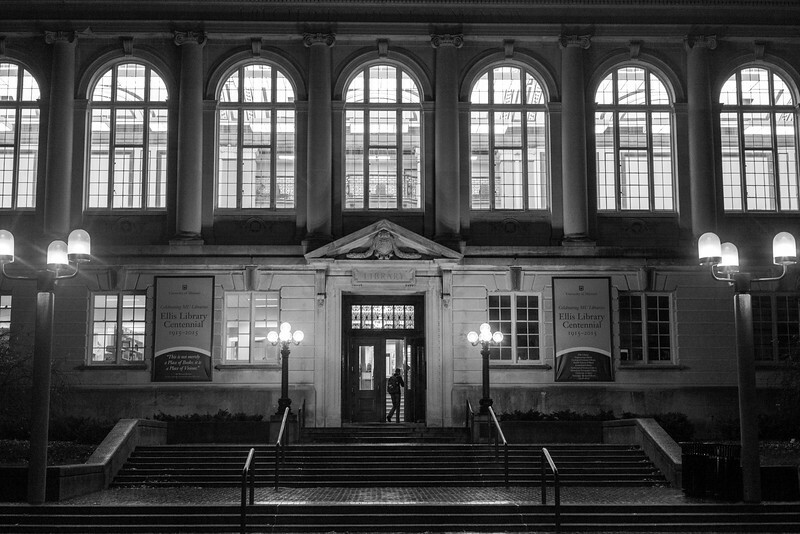 A student walks out of Ellis Library late in the night.